Miami Valley Phoenix (MVP) Volleyball is announcing the club's inaugural season in 2018-2019. This club is located in Dayton, Ohio. 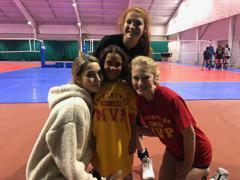 The club is the brainchild of a group of like-minded veteran coaches from the Miami Valley area wishing to serve and train the Miami Valley junior volleyball community. 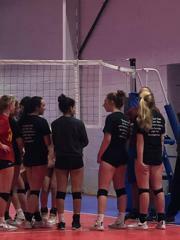 Our defining concept is that volleyball training component is tightly coupled to a strength and conditioning component. MVP training involves a competitive culture, family atmosphere for the players, families, and coaches, a hard charging work ethic, and a commitment to bring out the best of our athletes. 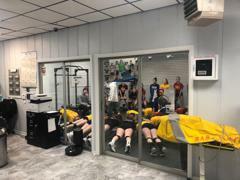 Volleyball coaches will be working hand in hand with the strength and conditioning coaches to create the unique ethos which leverages both training components to best serve the development of our athletes. Dayton Sports Complex located at 4801 Salem Avenue Dayton, Ohio 45416 provides the spacious and safe facility for this unique alchemy to prosper. Click on the Dayton Sports Complex Link above. 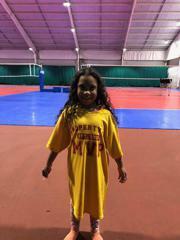 We host birthday parties, rent out turf and courts. ©2019 Miami Valley Phoenix Volleyball Club / SportsEngine. All Rights Reserved.